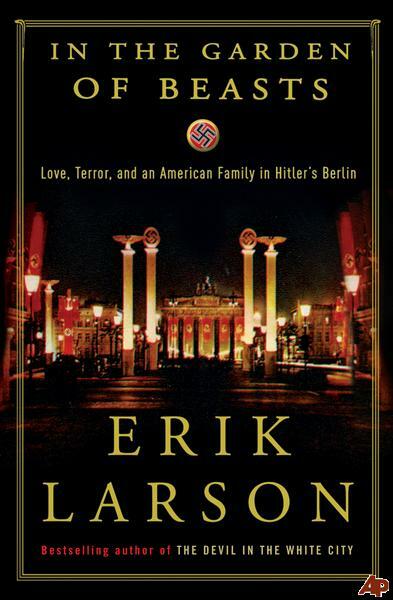 Larson made his name with his Devil In the White City, the historical fiction that braids together stories of the preparation of the World’s Fair and a serial killer in Chicago in 1910. My impression of In the Garden of Beasts, the story of American Ambassador William Dodd and his family living in Berlin during Hitler’s revolution and the run-up to war, is that it is more historically factual than Devin In the White City. It’s filled with specific dates, facts and quotes from speeches, letter and official documents. Dodd tows the diplomatic line while trying to warn his counterparts in the U.S. of Hitler’s escalating boldness and massing troops, his free-spirited daughter, Martha, plays Berlin’s social scene for all it’s worth. We also get a look inside the political maneuvering, backstabbing, and ambition of the leaders who surround Hitler. You could hardly ask for a better historical setting for a thriller, but somehow the book falls flat. Maybe it’s Larson’s faithfulness to historical accuracy or his insistence on quoting first-hand sources, but the plot drops off and the characters on the American side aren’t very likable. The Nazis certainly aren’t likable, but their behavior is so absurd that they are the more interesting characters. A well-written, readable book, just not very compelling.